No matter what your design tastes and practical needs may be, they’ll create the perfect window coverings for your Leesburg home. American Blinds and Shutters Outlet creates highly customized blinds, curtains, and shades to perfectly fit windows of all shapes and sizes. Draperies and curtains can be crafted from a nearly endless variety of fabrics, giving you a lot of creative liberty for designing window coverings to complement your home’s interior décor. Window shades can also help block glaring sunlight during the day, while providing tasteful design elements. Woven wood shades are a visually interesting addition to many interiors. Classic wood blinds lend a touch of traditional sophistication, and faux wood blinds can replicate their timeless look with greater durability and easier maintenance. Vertical blinds are also a highly customizable window covering option. Custom blinds can be created in canvas, paper, wood, fabric, and other materials, in a range of colors. American Blinds and Shutters Outlet are a trusted name in exterior shutters and storm shutters in Leesburg. They can create durable, customized quality shutters in a wide range of styles and materials. Their skilled window professionals recommend Polycore exterior shutters, a durable and versatile alternative to wood or vinyl. Don’t go unprotected during hurricane season. A set of quality storm shutters from American Blinds and Shutters Outlet will help keep your home and possessions safe during the next major hurricane or tropical storm. 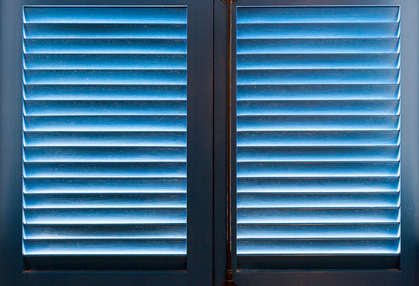 American Blinds and Shutters Outlet is a shutter company serving Leesburg, FL. Call 407-492-1009 or complete our online request form to contact us.